Share Your Photos Safely and Securely! When was the last time you wanted to share a photo with your friends and family but were worried about the whole world seeing it? This actually happened the other day to me...I wanted to send a really cute picture of my daughter to her godmother but I didn't necessarily want the whole world seeing my baby girl and having access to the picture for whatever they wanted to use it for. I was at a loss because there aren't many secure choices these days and Facebook is easy to use but we all know how secure they are with their pictures (NOT!) Plus, people like my mom and little sisters don't have Facebook so they NEVER get to see my children's cute pictures! Now I can share ALL my pictures with my family with a great new photo sharing platform called Out My Window! And I know that no one else is seeing them BUT the people I want to see them! With Out My Window you can capture all your precious moments and easily delegate who gets to see them. This is really great for people like me who frequently upload and email pictures but don't want to use social networks or Web photo services that can allow pictures to be seen by outsiders. And if you are technologically advanced with an iPhone, iPad or other smartphone (unlike me...), you can immediately share pictures taken on a smartphone or upload snapshots saved on a computer. You then select individuals or previously defined groups of contacts who can see the pictures almost instantly. 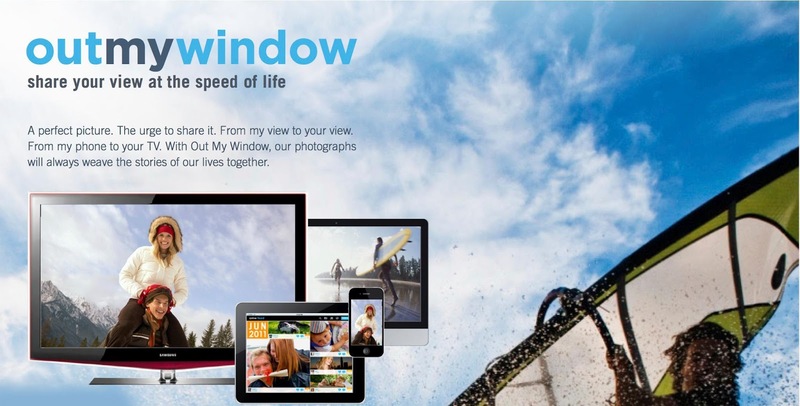 Out My Window is an app that is available for iPhone, iPad and iPod Touch users. Make sure to check out the FREE Out My Window App from iTunes to never wonder about who is looking at your personal and private pictures again!